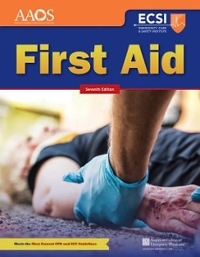 districtchronicles students can sell First Aid (ISBN# 1284131106) written by American Academy of Orthopaedic Surgeons (AAOS), American College of Emergency Physicians (ACEP), Alton L. Thygerson, Steven M. Thygerson and receive a check, along with a free pre-paid shipping label. Once you have sent in First Aid (ISBN# 1284131106), your Independent , DC Area textbook will be processed and your check will be sent out to you within a matter days. You can also sell other districtchronicles textbooks, published by Jones &Bartlett Learning and written by American Academy of Orthopaedic Surgeons (AAOS), American College of Emergency Physicians (ACEP), Alton L. Thygerson, Steven M. Thygerson and receive checks.